Reaching your goal of having a flat stomach is not something that you will be able to achieve overnight. It requires a shift in mindset and the willingness to commit to consistent, hard work. Don’t panic, though. 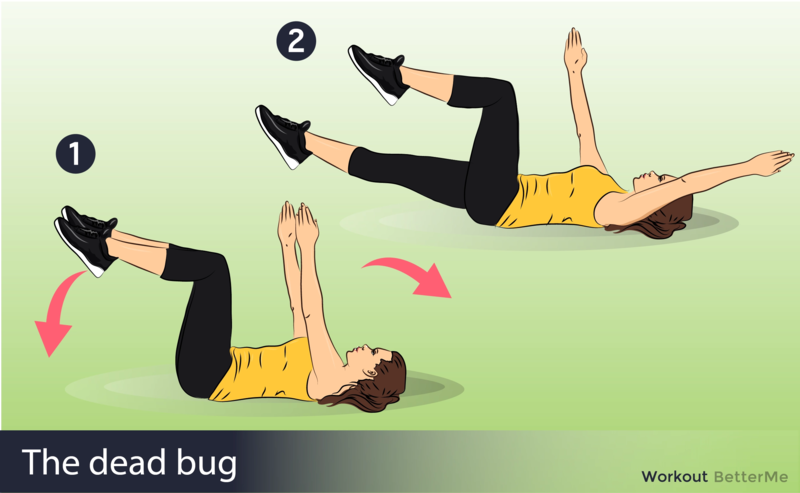 By following a simple workout each day, you can move closer and closer to the stomach of your dreams. Flat on back on mat or floor. Legs high up in air and straight. Slowly slower legs together, without touching floor. 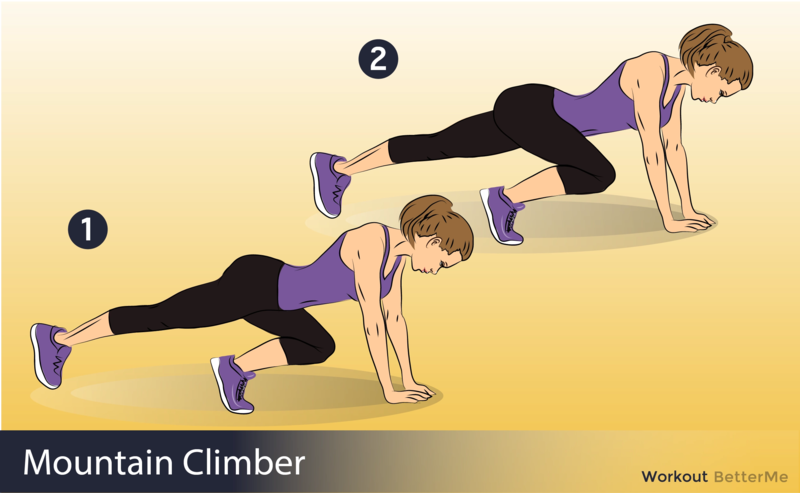 Repeat sequence for thirty seconds at a time, breaks in between. Same start position as first move. Alternate bringing both legs as far to one side as possible, not touching floor. Continue for thirty seconds before break. Imagine a starfish, lie down with legs and arms open. Touch opposite hand to opposite foot. Alternate sides for thirty seconds. Bring one knee to elbow, alternate, repeat. Standing with arms above head, reaching. Brings alternating knees as high as possible. Sit on floor, feet up or touching down. Lean back a bit to feel core tense. Alternate bringing hands to each side. 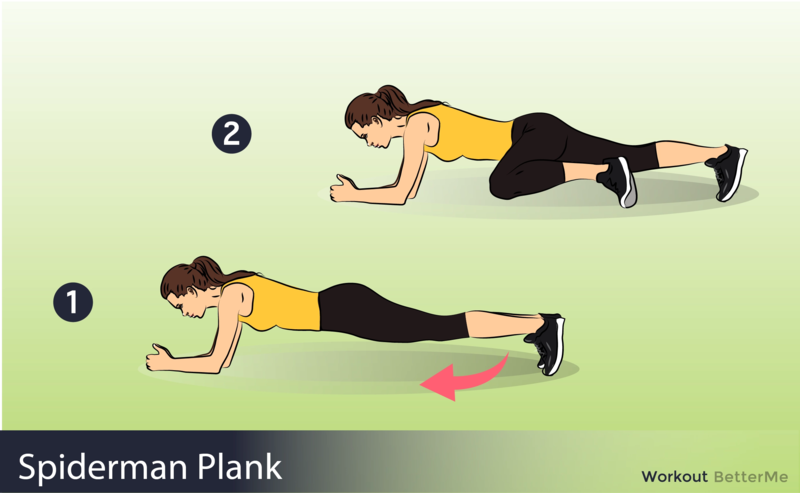 Pretend you’re Spiderman and get into plank pose. Raise on bent knee to right angle and hold for fifteen seconds. On back with arms stretched out at sides. Both legs straight in air. Bring one leg down at a time and back up slowly. Alternate sides for thirty seconds with straight legs not touching ground. Flat on back, legs up straight. One at a time, make circles with each leg for thirty seconds. On back, legs up straight in air. Kick with alternating legs as hard and firm as possible. 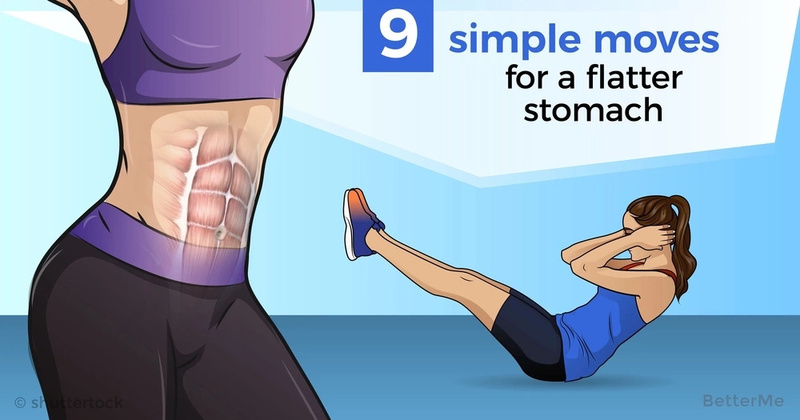 This ten-minute routine is one you can do each morning before leaving home, and slowly but surely, you’ll get a flatter stomach.